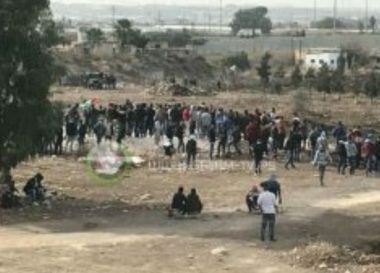 Israeli soldiers shot, Tuesday, at least 40 Palestinians, after attacking students protesting in Palestine Technical University – Kadoorie, west of Tulkarem, in the northern part of the occupied West Bank. 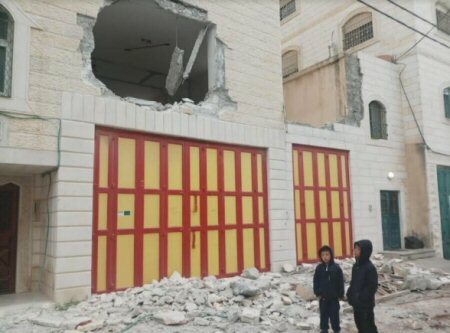 The Palestinian Red Crescent said the soldiers shot ten students with rubber-coated steel bullets, some of them in the head, and caused at least thirty others to suffer the severe effects of teargas inhalation. It is worth mentioning that the army has a military base, which was built on lands illegally confiscated from the college. The soldiers fired dozens of gas bombs, concussion grenades, and rubber-coated steel bullets at the students, while many hurled stones at them after attacking their procession. The soldiers also attacked many reporters, and inspected their ID cards, before forcing them out of the area.